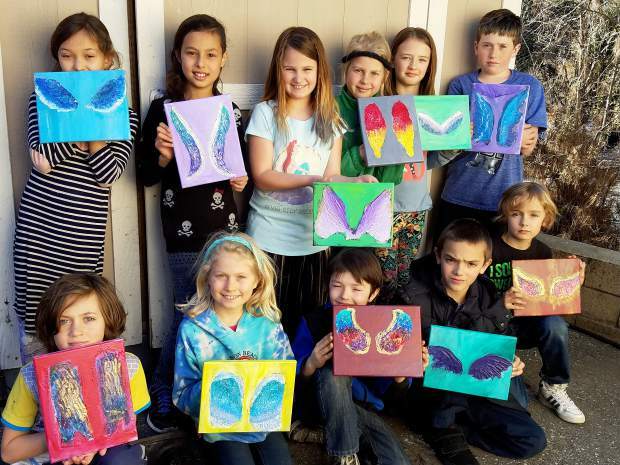 Twin Ridges Home Study students studied Los Angeles street artist Colette Miller and her “Global Angel Wing Project.” They then created their own mixed media versions of wings on canvas, which will be on exhibit at Baskin Robbins in Grass Valley through April 1. 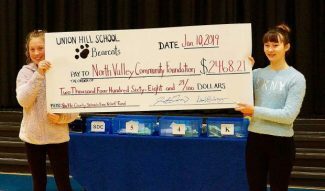 Students embraced the inspirational artists’s premise that “We are the angels of this earth” and discussed ways they can give back to the community. 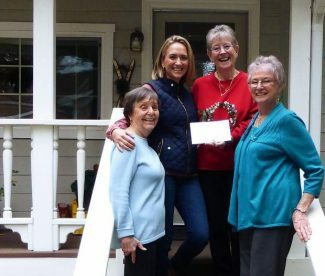 The students have extended an invitation to Miller, hoping she will come to Nevada County to install a pair of her famous wings. Twin Ridges Home Study students studied Los Angeles street artist Colette Miller and her “Global Angel Wing Project.” They then created their own mixed media versions of wings on canvas, which will be on exhibit at Baskin Robbins in Grass Valley through April 1. Students embraced the inspirational artists’s premise that “We are the angels of this earth” and discussed ways they can give back to the community. 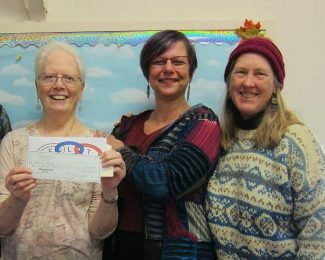 The students have extended an invitation to Miller, hoping she will come to Nevada County to install a pair of her famous wings.